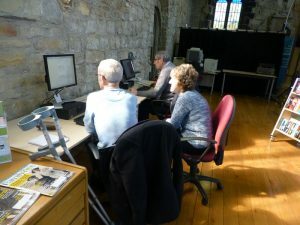 Members of the group together with other volunteers are happy to help with your family history enquiries – whether or not you are tracing Gateshead families. We can also advise you on family history adult education classes. 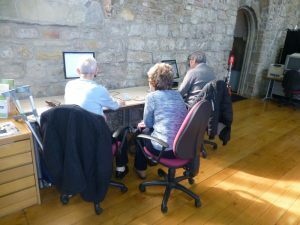 These Saturday surgeries are run by members of the Northumberland and Durham Family History Society. We are very grateful to them for their continuing support. There is no charge to attend any of these events other than the cost of printouts or microfilm prints that you may make.